The Dirty Springwash shower gel is a little bit confusing as it is part of this years Father’s Day range but it is also an all year round product. This isn’t something that normally happens as we tend to find season releases are only here for a limited time. 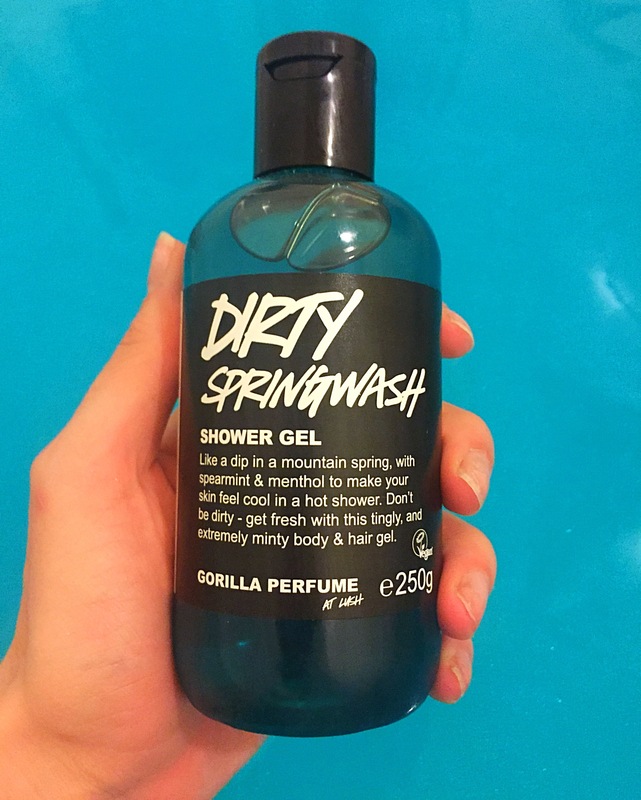 Although I am a fan of the Dirty Springwash shower gel it would have been fab to has seen a brand new shower gel as part of this years range, as it’s always super exciting to try a product never seen before. The first thing that attracted me to the Dirty Springwash shower gel was its extremely vivid blue colour. I was then super excited to find that the colour also reflected its very fresh and cooling scent. Containing spearmint oil and menthol crystal the Dirty Springwash shower gel has a gorgeous fresh minty fragrance. 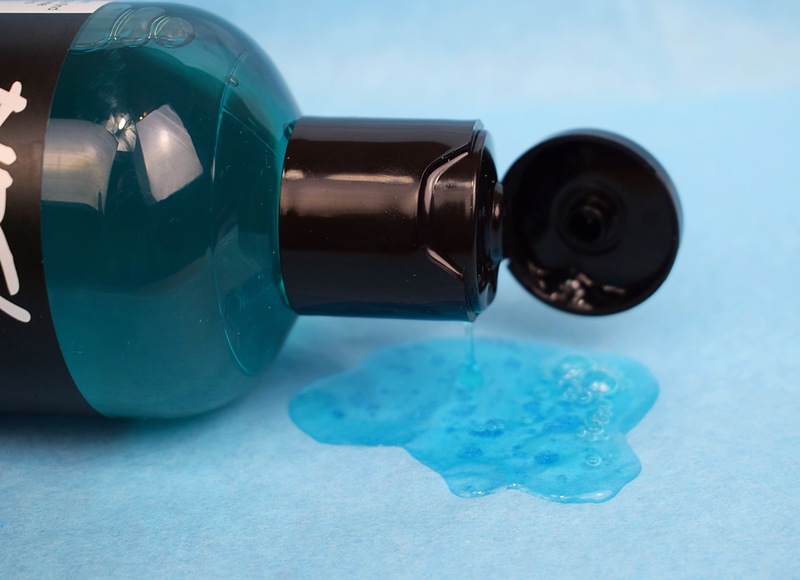 The menthol crystals also add a slightly cooling tingly feeling when using this shower gel. This is a little similar to the Christingle body conditioner making this product perfect for hot summer days or post workout. Although this shower gel is aimed more towards men, it most defiantly is not only aimed at men. Like all of the products from Lush they are designed so that anybody can use them. Out of all the Father’s Day products I would say that this shower gel have the most stereotypical manly scent. It is not overpowering but there is an underling scent in this product that reminds me a little of aftershave. With this in mind I still have enjoyed using this shower gel. I am a huge fan of anything minty and this shower gel is just that. I’m looking forward to trying out this when the weather is a little warmer as it is the most refreshing shower gel I have ever tried. The Dirty Springwash shower gel is now self preserving. This concept also ends up creating a much thicker shower gel than before. I personally love the thicker consistency. It has an almost jam like feel about it. The Dirty Springwash shower gel creates a lather very quickly and it is one of those products that ends up leaving you feeling squeaky clean. One little tip on this product, be super careful you don’t get it in your eyes as due to the menthol and mint it stings a lot (I learnt the hard way).